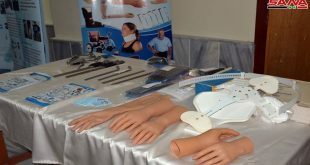 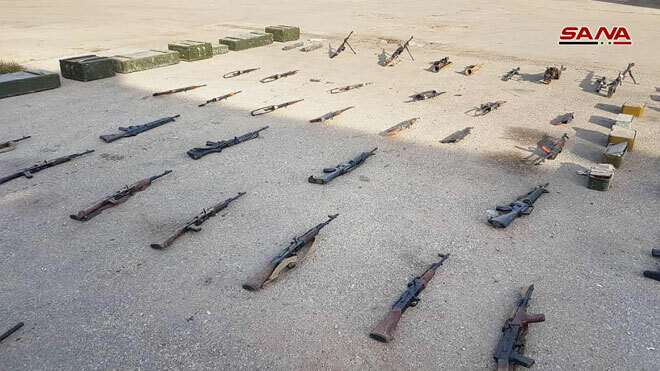 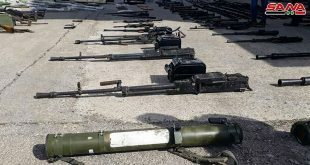 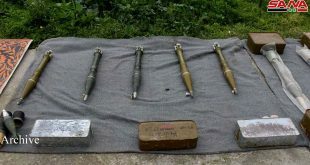 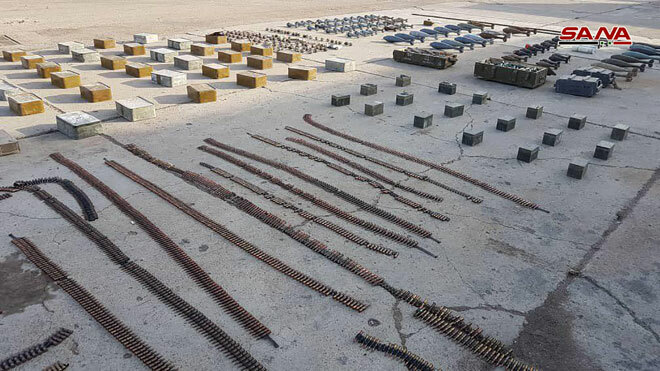 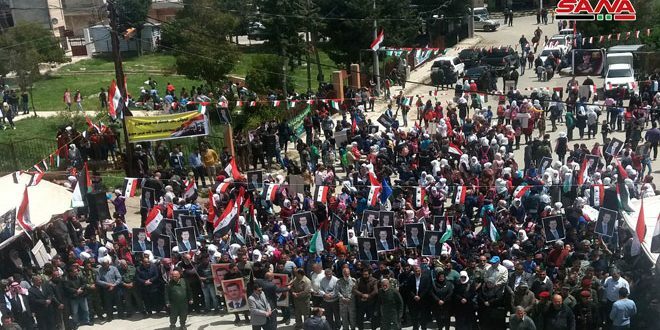 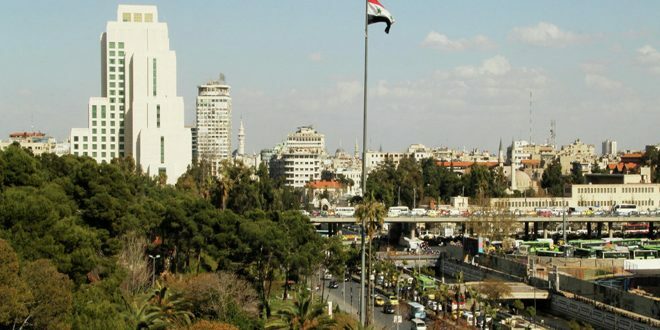 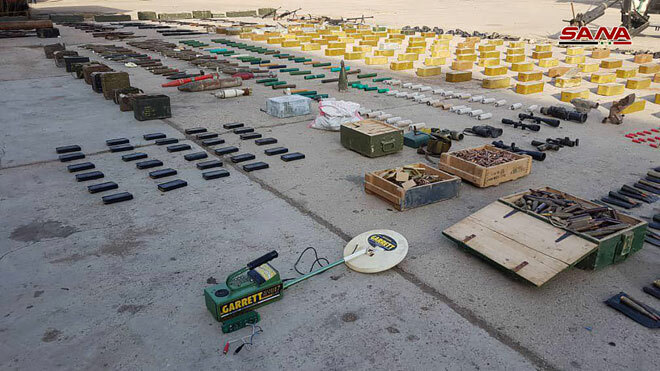 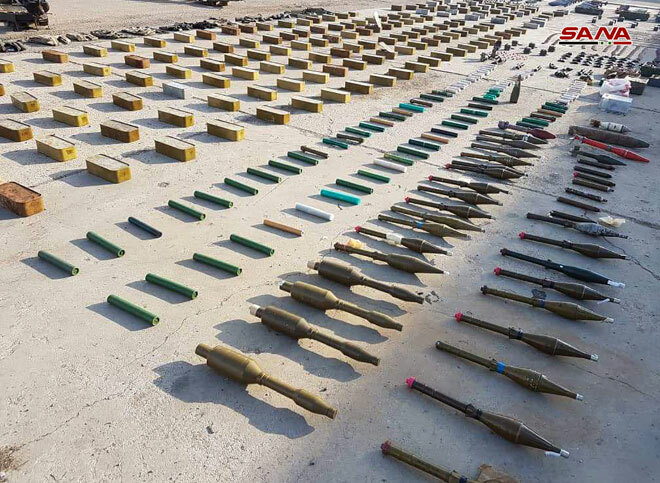 Homs, SANA – The authorities on Tuesday uncovered weapons and ammo, including US-made rifles, that were left behind by terrorists in the northern countryside of Homs province. 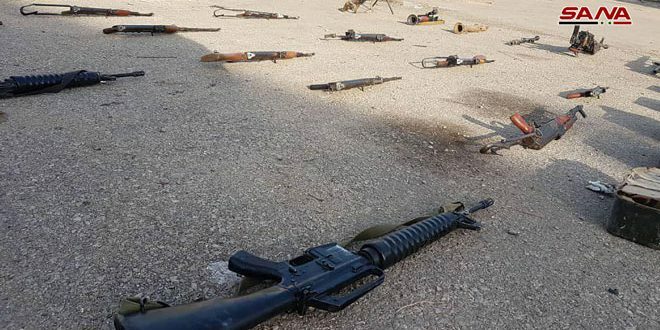 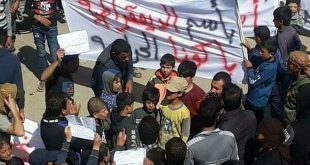 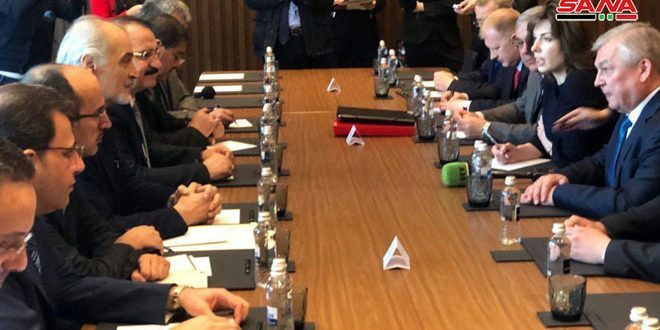 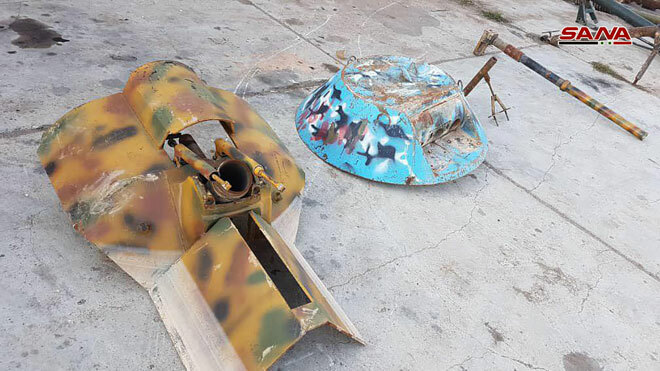 SANA’s correspondent in Homs said that while canvassing areas in the northern countryside of Homs, the authorities found abandoned hideouts for terrorists containing weapons and ammo. 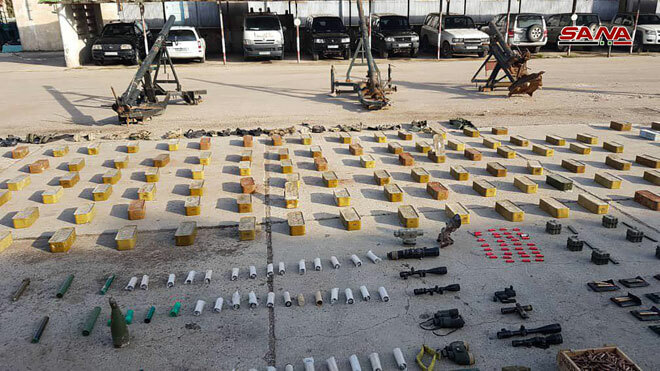 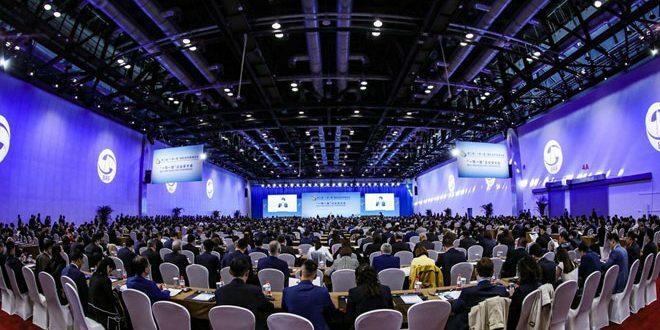 The weapons included a 130mm artillery piece, a 57mm artillery piece, mortar launchers and rounds, RPG shells, a sniper rifle, US-made M16 rifles, portable missiles, 14.5 machineguns, and PKC machineguns, in addition to assorted types of ammo and a metal detector.